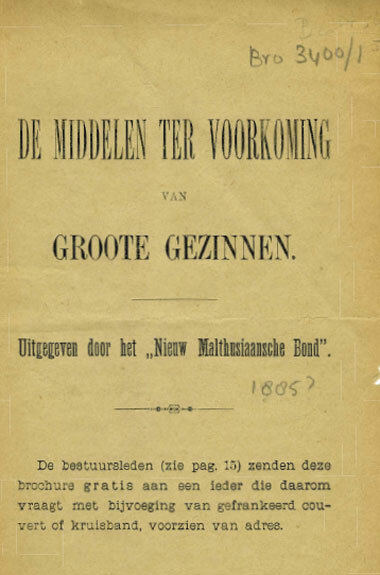 Although these are not the first published instructions for the use of contraceptive methods by the NMB, it is the first contraception booklet (middelenboekje) to be published separately. The NMB first described contaceptives in a booklet titled Het ontstaan en de ontwikkeling van het zedelijkheidsgevoel (NMB Schetsen no. 3), Amsterdam 1884.